Outside 238 Headington Road, opposite Headley Way, where the Headington and London Roads meet. 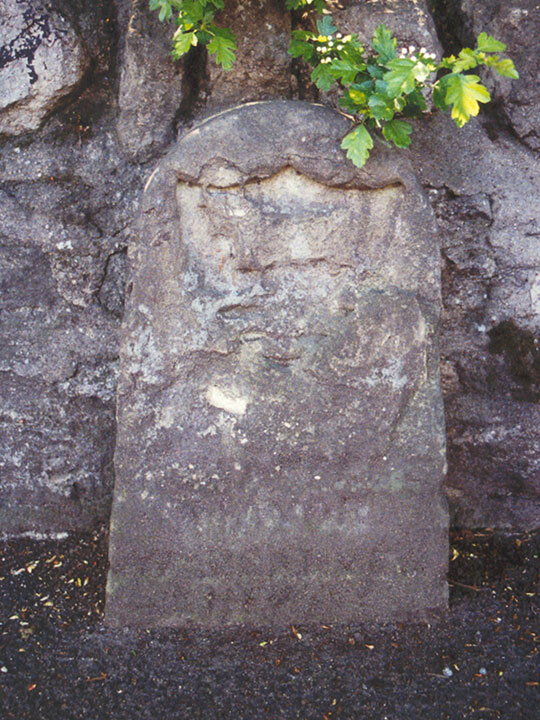 It matches the stone near Woodlands Road, and also the stone at Godstow Bridge. 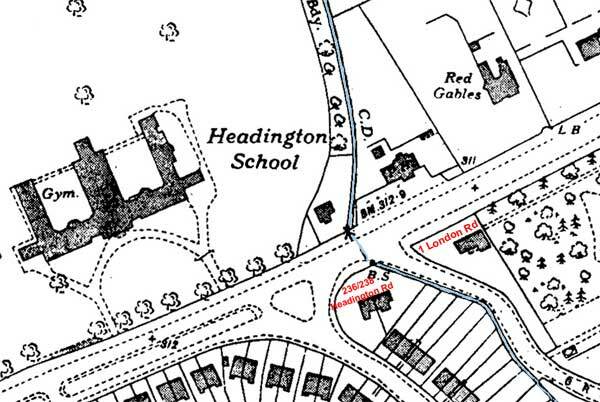 This extract from the 1939 OS map of Headington shows the line of the underground Boundary Brook marked in blue. It crosses spot where the Headington Road meets the London Road (just to the east of the cottage in the south-east corner of Headington School, where Headley Way is now). 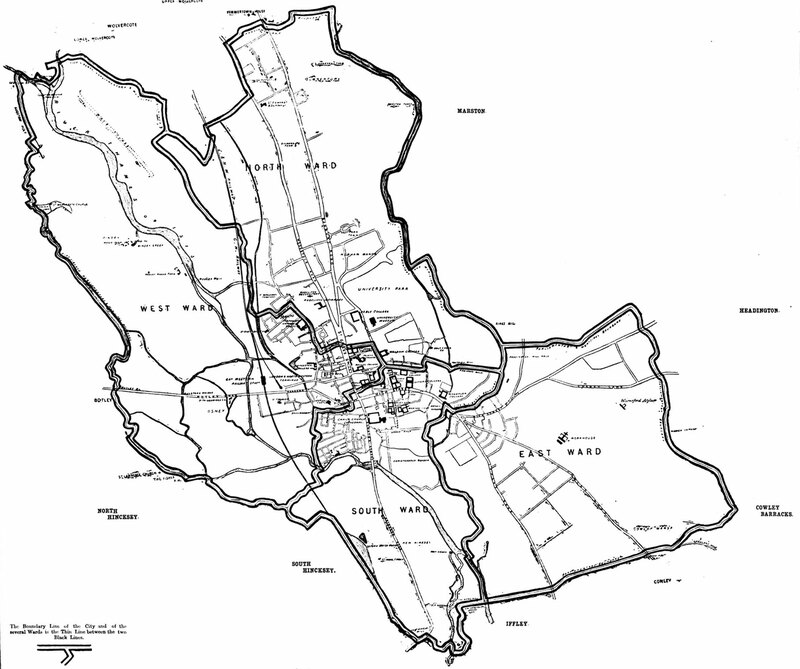 It then runs through the side garden of 238 Headington Road, and then along the ends of the gardens of the east side of Valentia Road.